It is definitely the circle of life and we play such an integral part of our, and their circle. 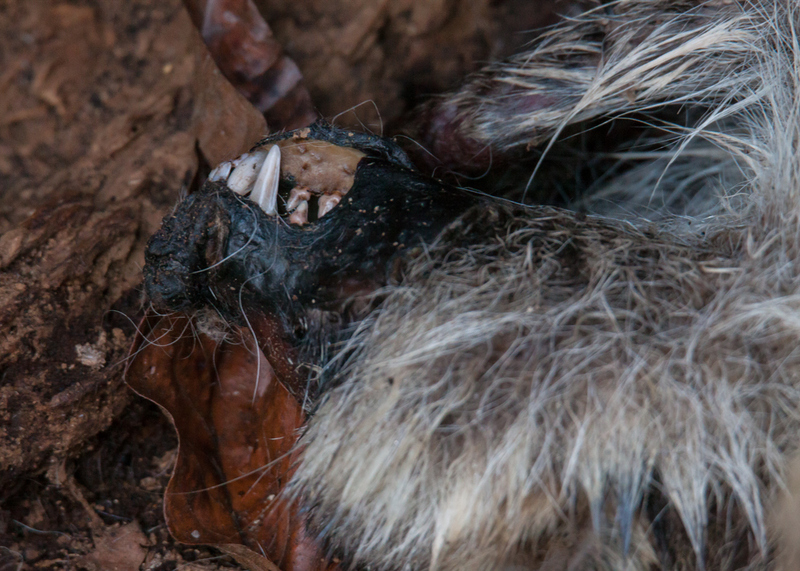 I have seen plenty of dead and skeletal deer in my life but I have never seen a dead raccoon. Thanks to your photo, I know what to look for. I tend to be quite pragmatic about death and regard it as just the end point of life. I try to focus on the living part and not worry about the death. Although I am an atheist, I also believe that the person or creature ceases to exist at the point of death. All that remains is the carcass. All of which is to justify why my kids and I have a macabre fascination with corpses when we stumble across them. We study them like little forensic scientists, deciding what creature they were, what the cause of death might have been. A few weeks ago we came across the skeleton of a deer and my kids had great fun putting it back together again (not literally) like a grotesque jigsaw puzzle. My husband doesn’t join in because he thinks we are gross but he doesn’t object to the impromptu science and anatomy lessons either. 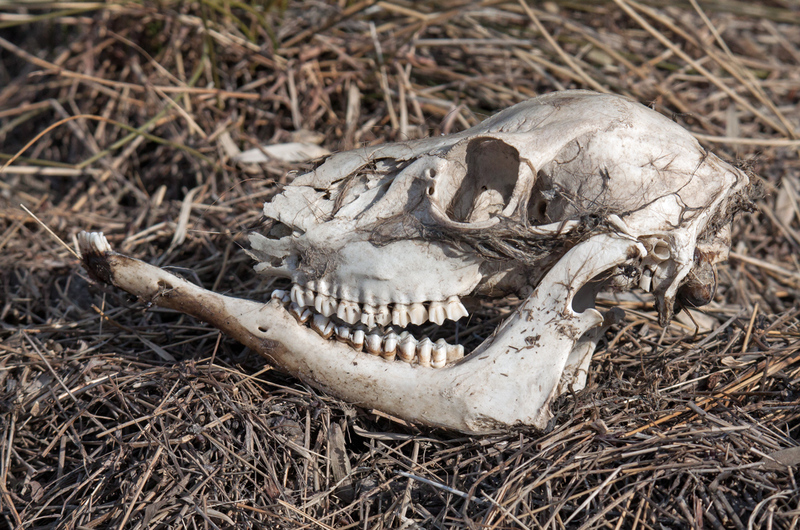 I’ve been thinking, and can’t remember ever seeing a deer skull when I’m out and about. Leg bones, rib cages, antlers, and such are pretty common, but this is interesting. Nobody who spends time with nature should find them offensive. Death is part of life!